A great project for kids of any age (or adults!) 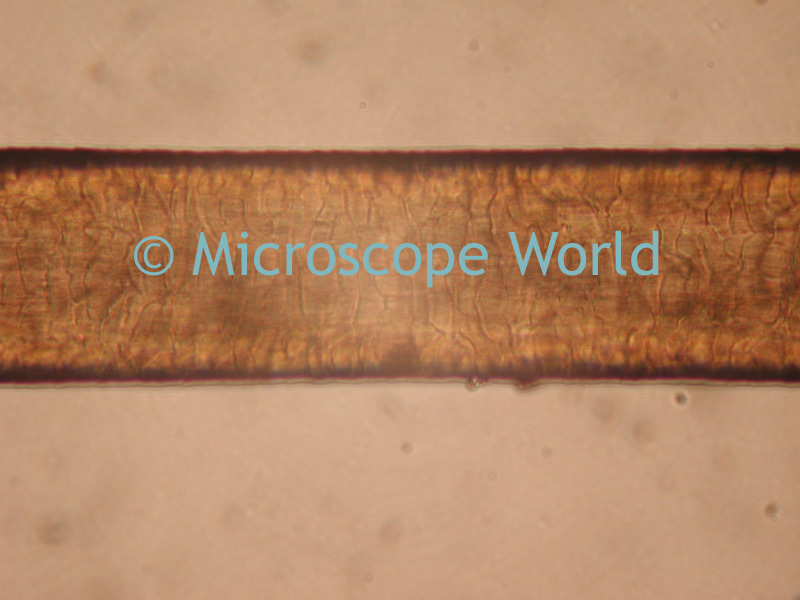 is making a variety of microscope slides to view under your high power microscope. There are two options when making slides - you can make slides that are temporary (used once and not saved), or slides that are permanent (you can save them to look at in the future). When making temporary slides, the supplies needed are very basic - blank slide or depression slide (with a small well in it for placing liquid) and a cover slip. In order to make your slide, simply place the specimen on the slide, apply the cover slip so it lays flat, and view under the microscope. When finished viewing, wash the slide in warm soapy water. The cover slip is quite thin so be careful (if you do try to reuse it) that you don't break it during cleaning. Creating permanent slides involves sealing your specimen within the slide so it lasts, and then labeling the slide so that years from now you remember what the sample was. You may also want to stain the slide, if so, this page offers great information on staining microscope slides. Prepare the slide just as you would when making temporary slides. However, when you apply the cover slip, you will want to coat the very outer edges of the cover slip with a thin layer of clear nail polish or cement in order to permanently seal the cover slip to the slide. Make sure your layer of adhesive is not too thick, as this will cause problems with not being able to focus properly on your specimen (if it is raised up too high), or the extra adhesive will ooze into your specimen and affect your viewing area. Cheek cells from inside your mouth (use a Q-tip to scrape the inside of your mouth). Pond water, or water from a muddy puddle. Cotton - a thin strand pulled off a cotton ball. Soil from the back yard. A blade of grass or a thin section of a flower. A thin cross section of an earthworm (if it is not thin enough you won't be able to view it through the high power microscope). 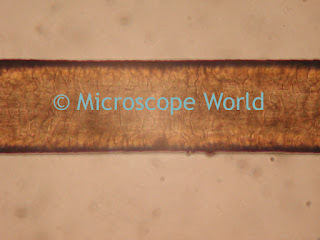 Pet or human hair - just a single piece or two under the microscope. Phytoplankton found in pond water, captured with a digital biological microscope. Single strand of hair captured at 1000x magnification. 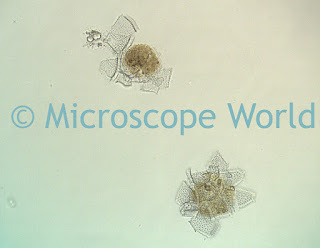 Have any other ideas of fun things to look at under the microscope? We would love to hear from you on our Facebook page!